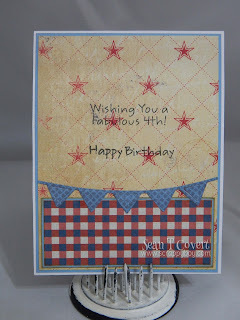 Scrappy Boy: A 4th of July Birthday Card!! 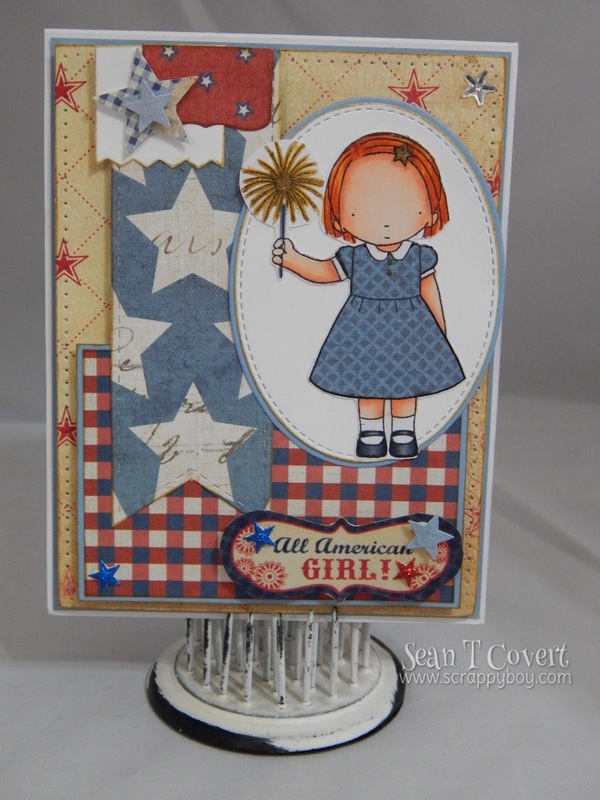 Hello and welcome back fellow crafters!! I wanted to share a birthday card I made for my sister continuing my obsession with My Favorite Things stamps! lol. I know it's a little late for a 4th of July card but that's the day of her birthday. 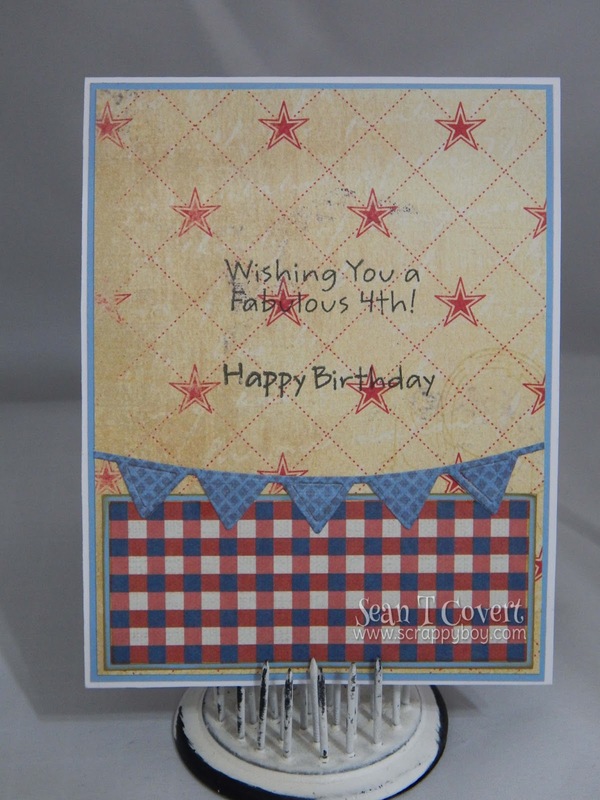 I have really got to get better about posting my cards as I make them! 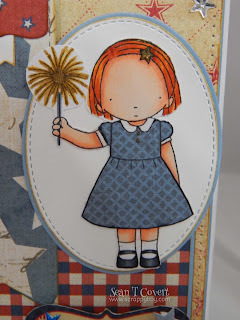 I paper pieced the dress and used Wink of Stella glitter pens on the sparkler. Hard to see in the picture though. 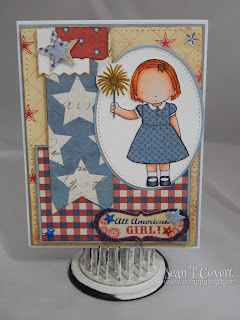 I'm having soo much fun doing the inside of the cards too! I definitely won't go back to not finishing them!